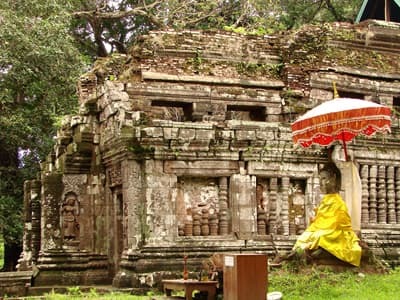 Wat Phu is a Khmer Hindu temple relics complex in southern Laos. The temple has a unique structure in which the elements lead to a shrine which dedicates Shiva was bathed in the mountain spring. In 2002, the temple was named a UNESCO World Heritage Site.